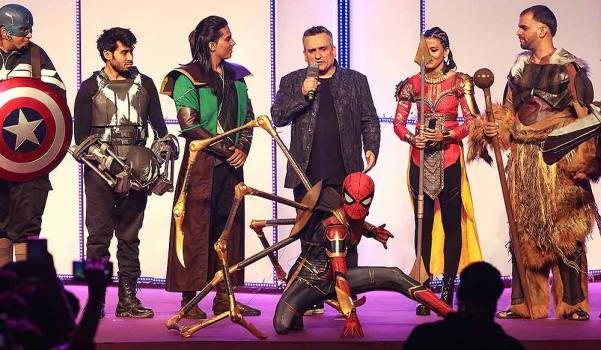 Joe Russo, director of the movie 'Avengers: Endgame' speaks at the launch of Marvel Anthem for Indian fans, in Mumbai. 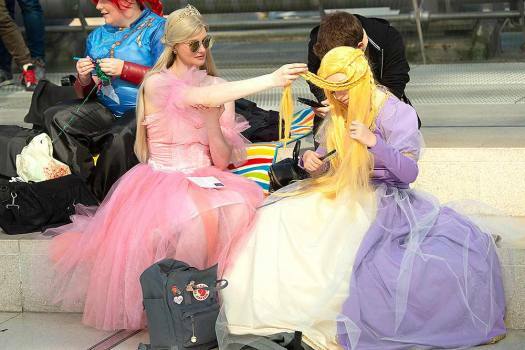 Cosplayers dressed in fantasy costumes prepare for their performance during the Manga Comic Convention at the Leipzig International Book Fair in Leipzig, Germany. 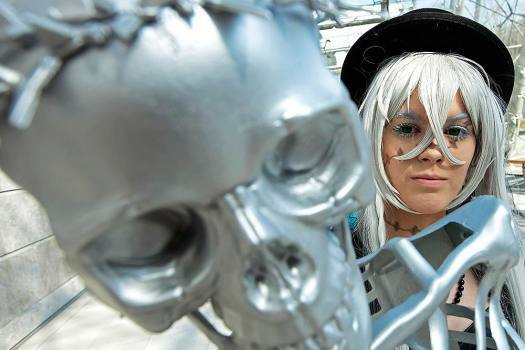 A cosplayer dressed in a fantasy costume performs during the Manga Comic Convention at the Leipzig International Book Fair in Leipzig, Germany. 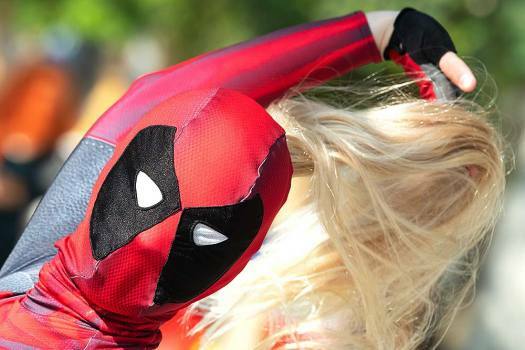 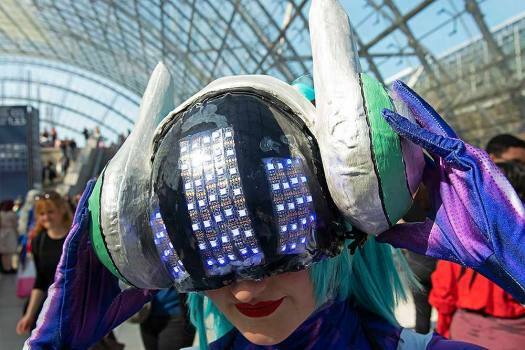 A cosplayer dressed in a fantasy costume prepares her performance during the Manga Comic Convention at the Leipzig International Book Fair in Leipzig, Germany. 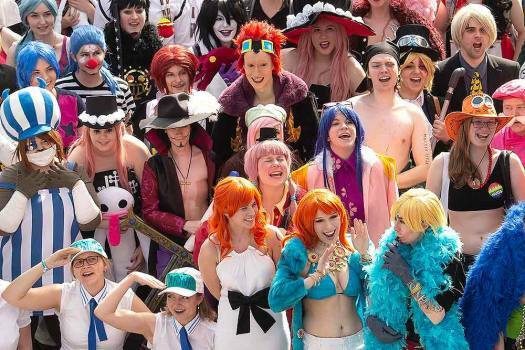 Cosplayers dressed in fantasy costumes celebrate during the Manga Comic Convention at the Leipzig International Book Fair in Leipzig, Germany. 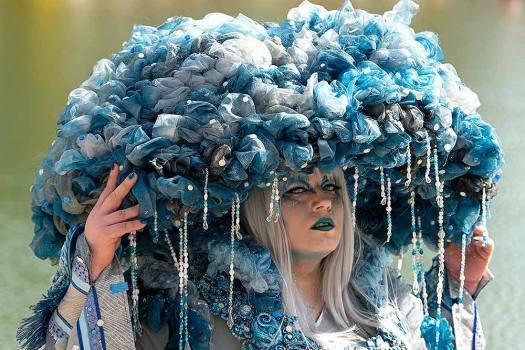 Cosplayer 'Kasan' dressed in the fantasy costume 'Rain cloud' performs during the Manga Comic Convention at the Leipzig International Book Fair in Leipzig, Germany. 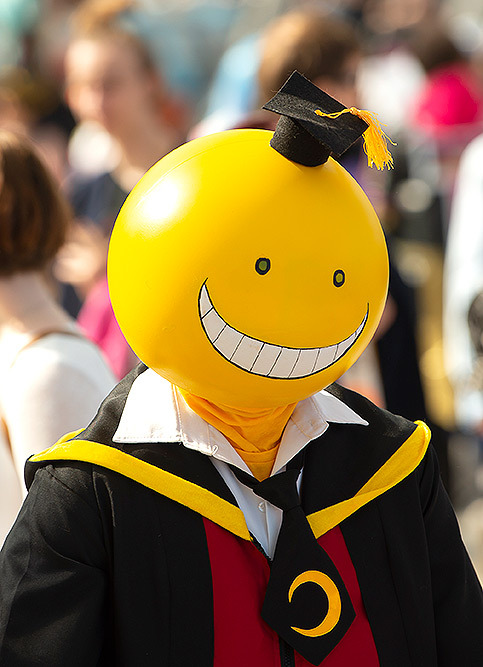 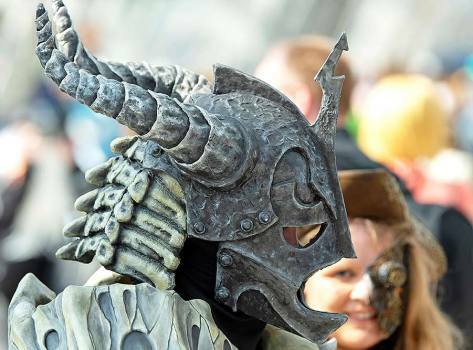 A cosplayer dressed in a fantasy costume performs during the Manga-Comic-Convention at the Leipzig International Book Fair in Leipzig, Germany. 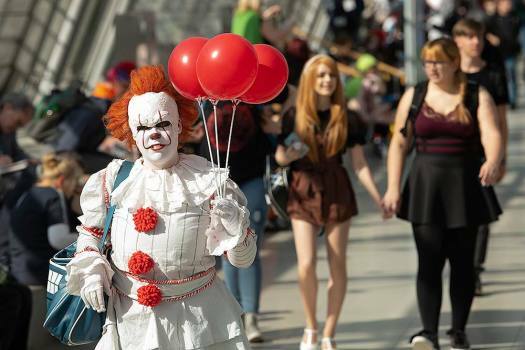 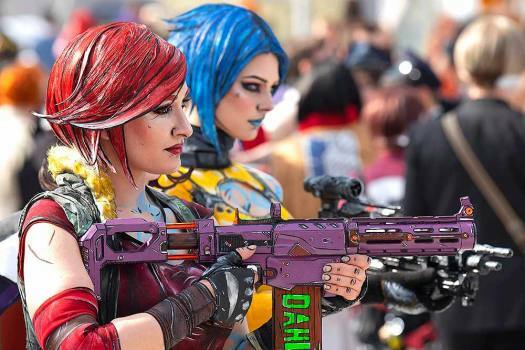 Cosplayers dressed fantasy costume perform during the Manga Comic Convention at the Leipzig International Book Fair in Leipzig, Germany. 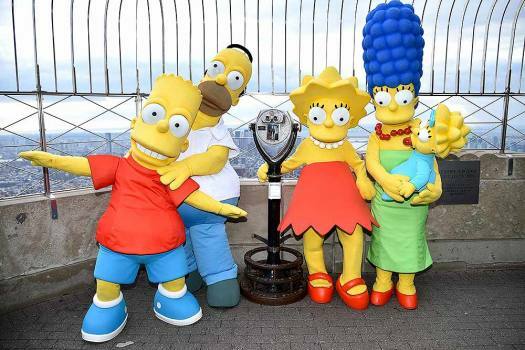 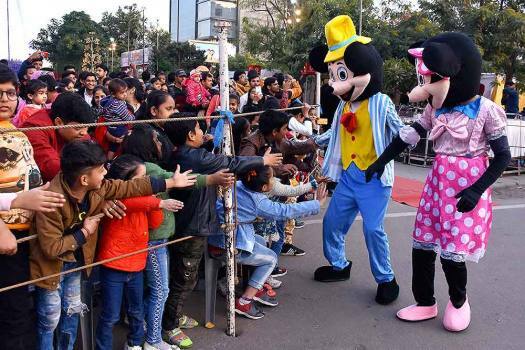 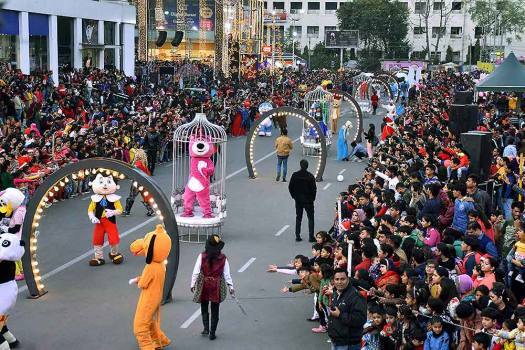 Artistes, dressed up as cartoon characters, perform during Christmas celebrations in Jaipur. 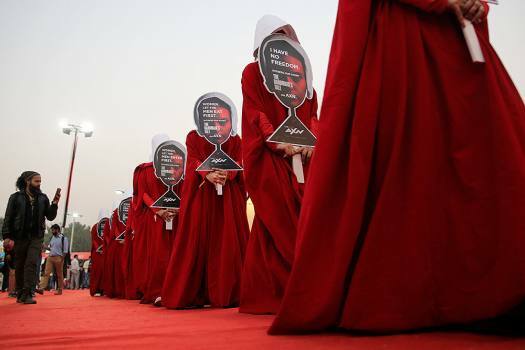 Participants dressed as characters from Golden Globe award-winning show 'The Handmaid's Tale' walk at the Delhi Comic Con in New Delhi. 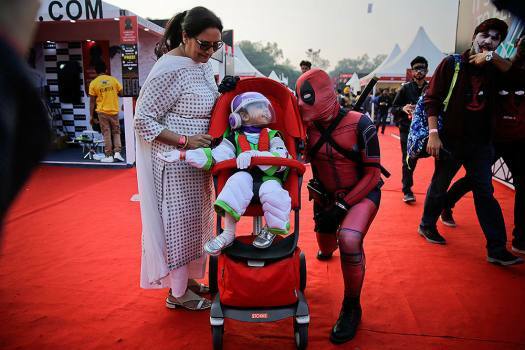 A participant dressed as The Deadpool talks to a young fan sitting in a walker at the Delhi Comic Con in New Delhi. 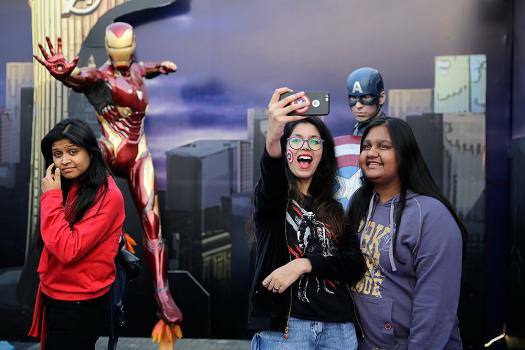 Fans take selfies in front of comic characters from Marvel Studios at the Delhi Comic Con in New Delhi. 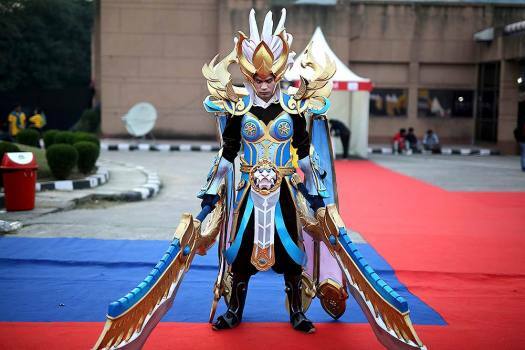 A participant stands dressed as character Martis at the Delhi Comic Con in New Delhi. 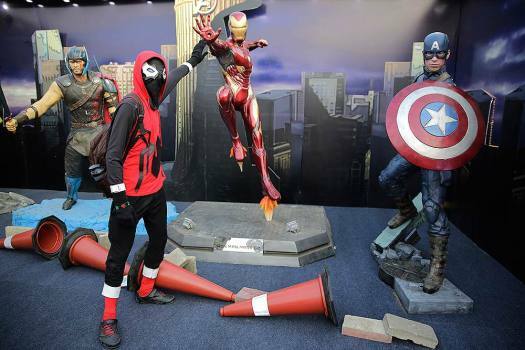 A fan poses in front of his favorite comic characters from Marvel Studios at the Delhi Comic Con in New Delhi. 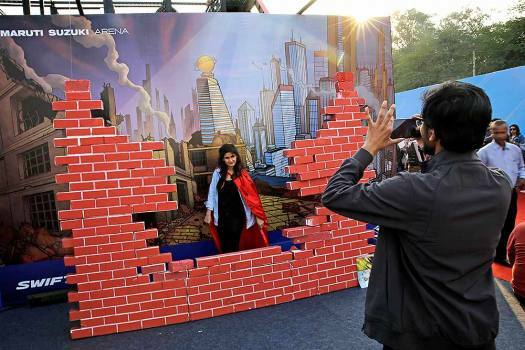 A fan draped in Superman's robe has her picture taken at the Delhi Comic Con in New Delhi.